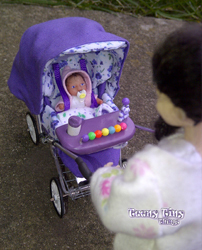 Welcome to Teeny Tiny Things, here you will find my handmade 1/12th scale miniature prams, pushchairs and other miniatures. 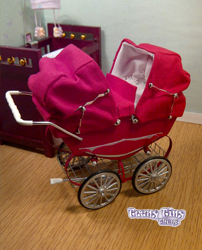 I also design and create 1/12th scale miniature kits that can be fully personalised to add that special touch to your doll house or shadow box. 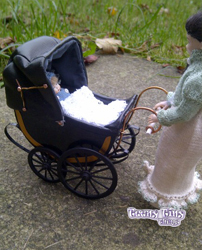 The handcrafted miniatures here are all designed and created by me using a range of different materials. The kits I create using 3D printed parts that I design and print myself coupled with a range of other materials.